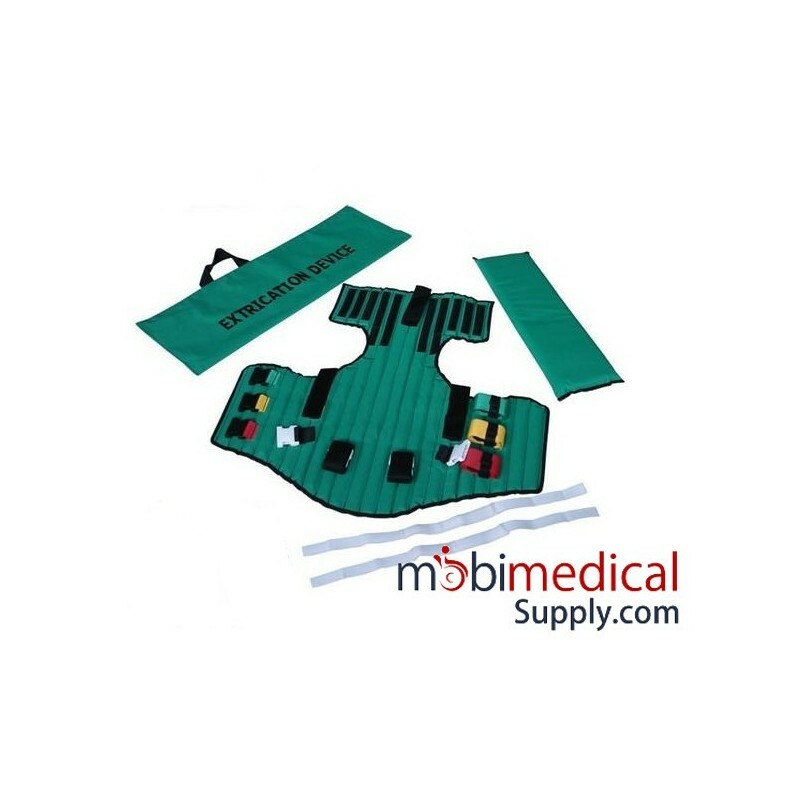 Ideal for immobilizing and extricating patients from auto accidents or confined spaces. 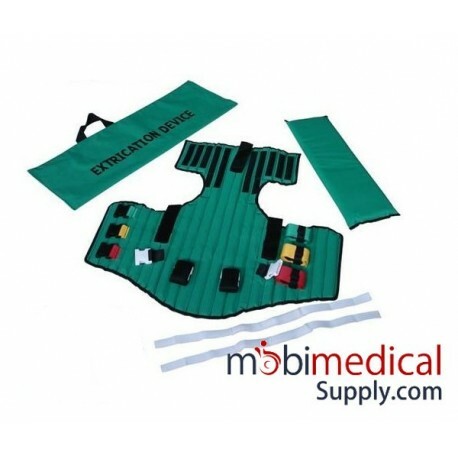 An easy to apply and extremely effective extrication device which offers vertical rigidity in addition to horizontal flexibility. Straps are color coded for ease of application. Supplied with carrying bag.